Picture a traditional stone-walled church - beautiful and powerful. Now picture it bursting with enthusiastic worshipers. There is a time-honored confidence to the musical statement Joe Martin has given to the singers, and the words march well to the tune. A cello adds a warm strength to the anthem. 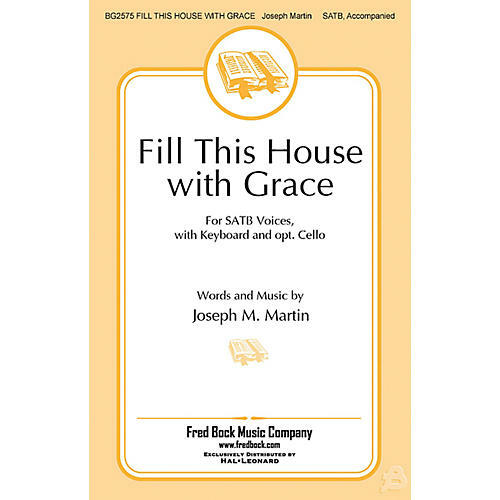 The musical picture becomes complete when the opening phrase ends with the prayer, fill this house with grace.